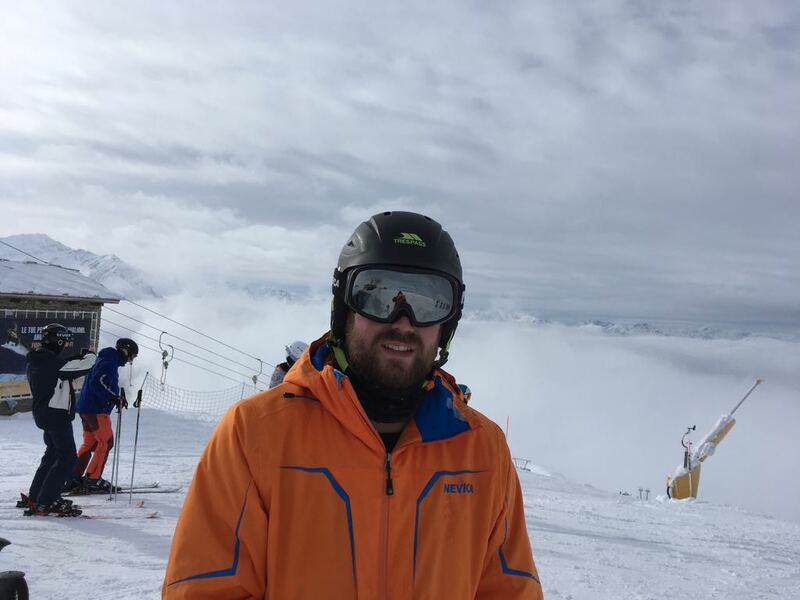 You might of seen from my recent post and my social media updates, a few weeks ago I was lucky enough to be in the Italian Alps for my third skiing holiday! A few years ago I wasn’t even into winter holidays, but its fair to say, I’m well and truly converted and look forward to it more than a summer holiday! 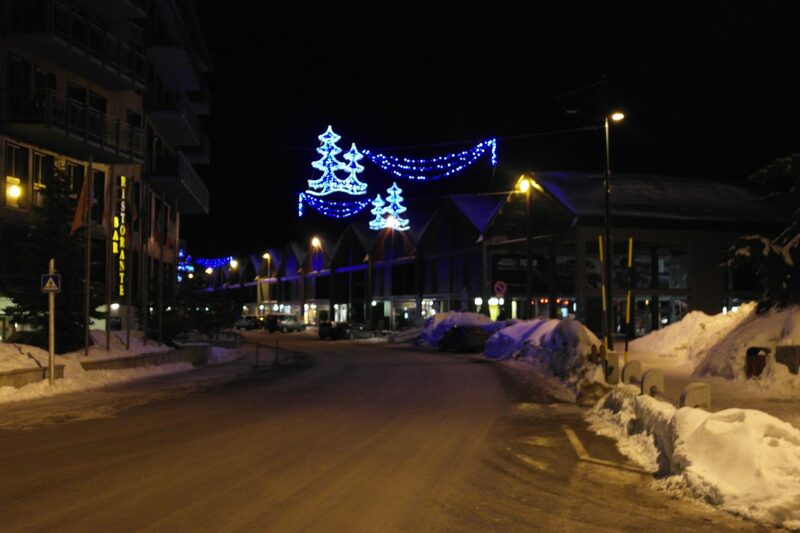 I was staying in the resort of Sestriere in Italy, which makes up the Milky Way or Via Lattea along with 6 other villages including Montgenevre in France. 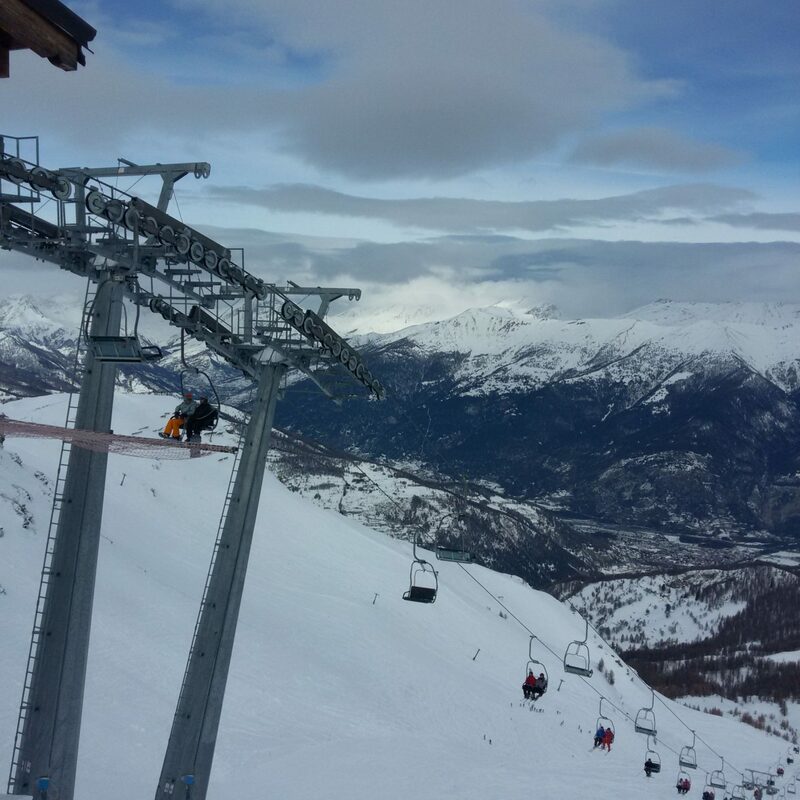 Sestriere was the first purpose built resort in the Italian alps and was improved in 2006 when the winter Olympics were held there. It’s a fairly high resort (2,035 metres) so chances of snow are fairly high in February, which is great if your anything like me and love the snow! We flew from Manchester to Turin, which was the closest airport to Sestriere. The transfer from the airport should have been 1.5 hours (which is quite fast compared to other ski resorts I’ve been to) But the heavy snow meant the journey was a lot slower and the coach even had to stop to put snow chains on because the snow got that thick and heavy! There was something special about having snowfall on arrival! 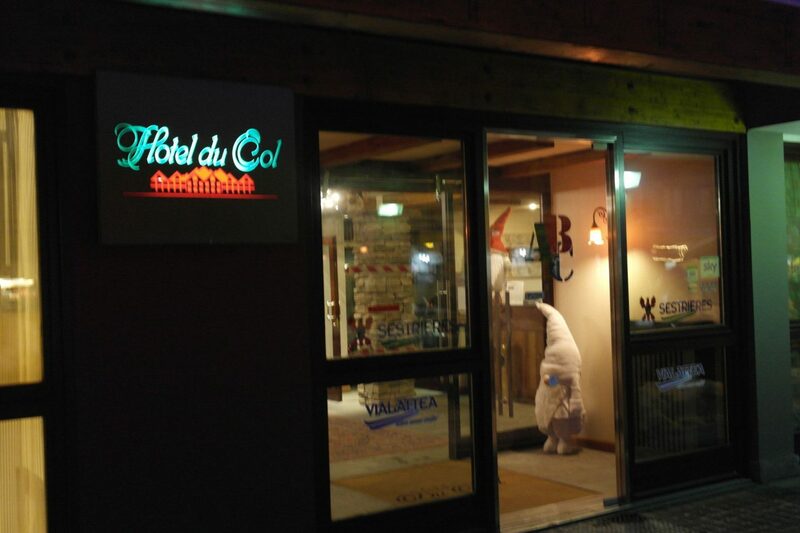 We’d booked to stay in the Hotel Du Col, which is conveniently located towards the bottom of the slopes so you can literally ski in and ski out! It’s central village location means ski rental, shops and restaurants are all really close by. 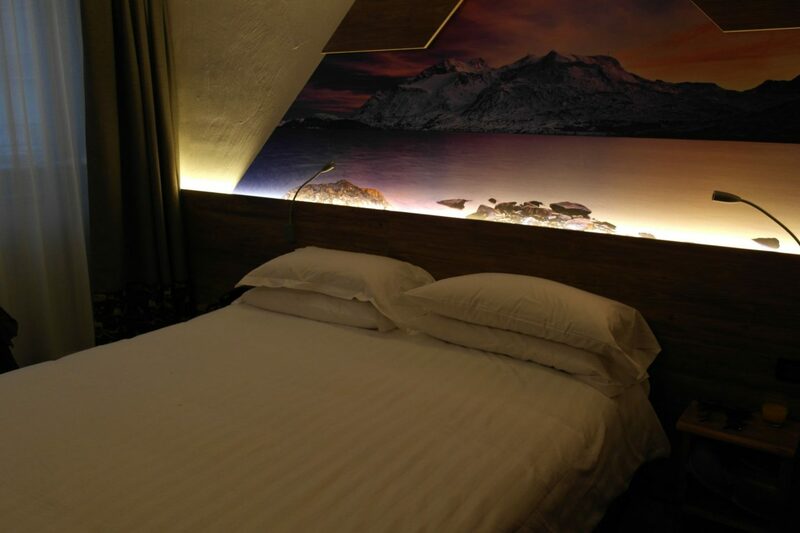 The hotel, including all bedrooms has been recently refurbished to a high standard. It has two bars, the comfy lounge on the ground floor that overlooks the mountain or the larger bar more lively bar downstairs! 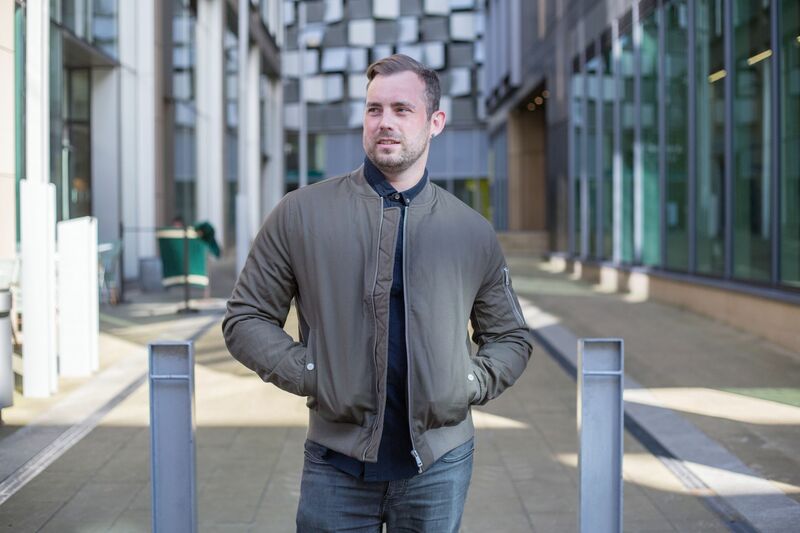 They’re plenty of room options, single, twins, double, triple and even quad, so have options no matter what size group you are. 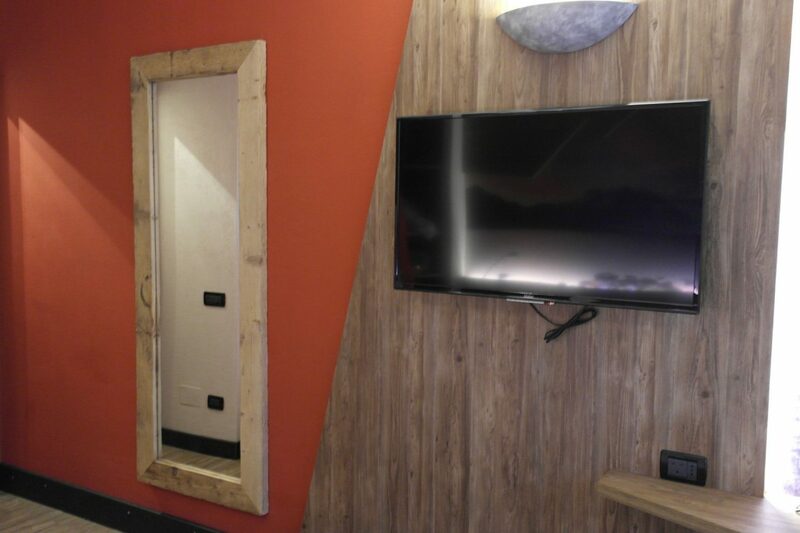 The rooms in the hotel are a comfortable size and now ultra modern courtesy of the recent refurbishment for the start of the 16/17 season. 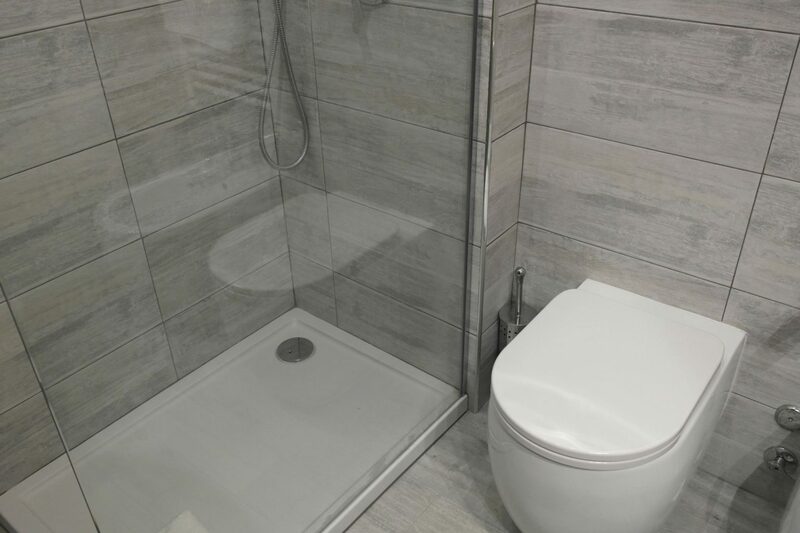 In the rooms you’ll find everything you’d need for your stay; comfortable beds, flat screen TV, lots of storage and a really nice trendy bathroom. 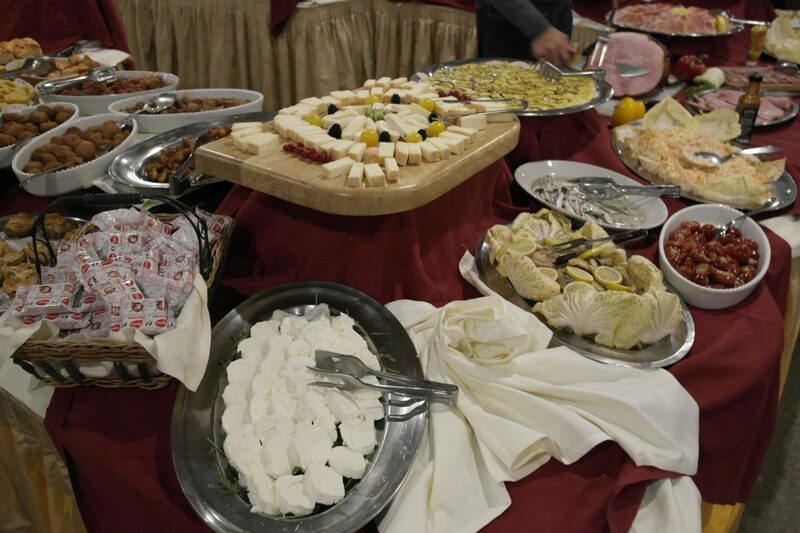 The hotel operates on a half board basis and has a very impressive selection of regional and Italian specialities for your evening meal, which is served from 7.30 until 8.30pm. 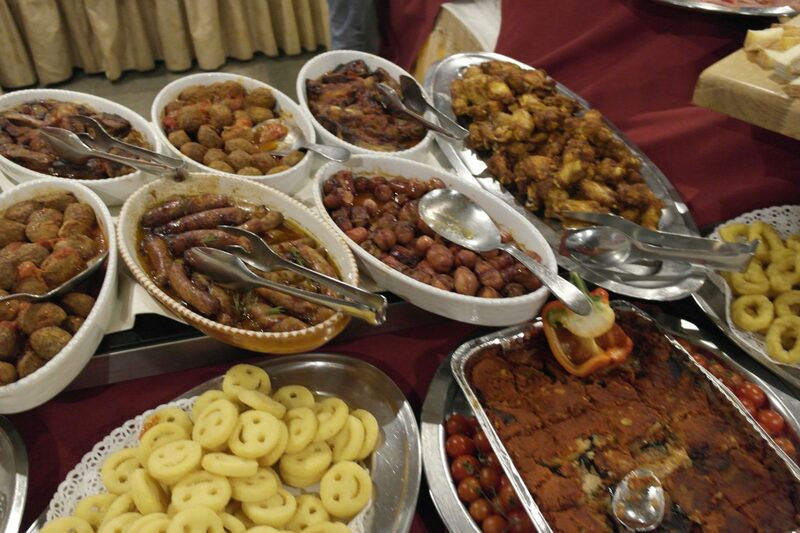 But make sure you get there early as the starter courses are cleared relatively quickly to make way for the desserts… my favourite part! 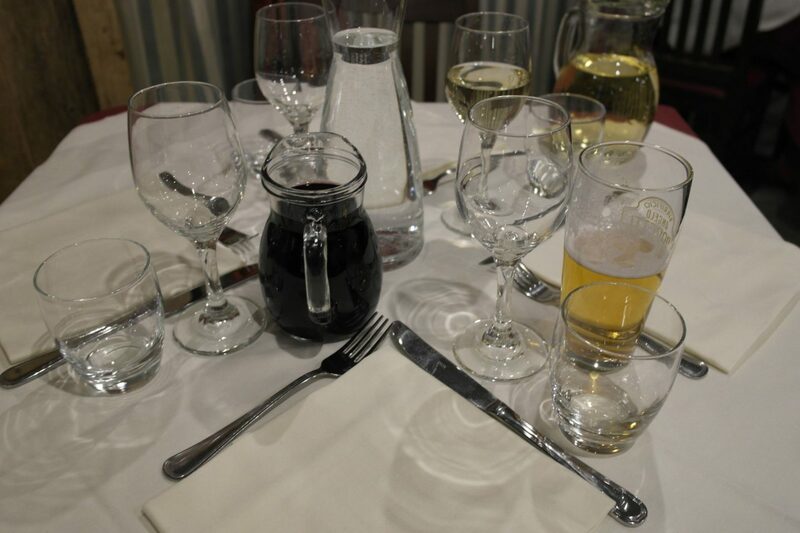 Each evening meal is served with free wine and soft drinks, which the very friendly staff make sure are always topped up! Breakfast is served from 7.30 right up until 10am and has a wide selection including traditional cooked to more continental style and everything in between. The chocolate croissants are particularly good and definitely worth trying! Staying in the Hotel Du Col means your only 1 minute away from the bottom of the ski lifts, which open at 8.30am. There’s an impressive 400km of piste to go at in the Milky Way! There’s a good mix of slopes for all abilities from easy flattish blues, to challenging blacks and everything in between. 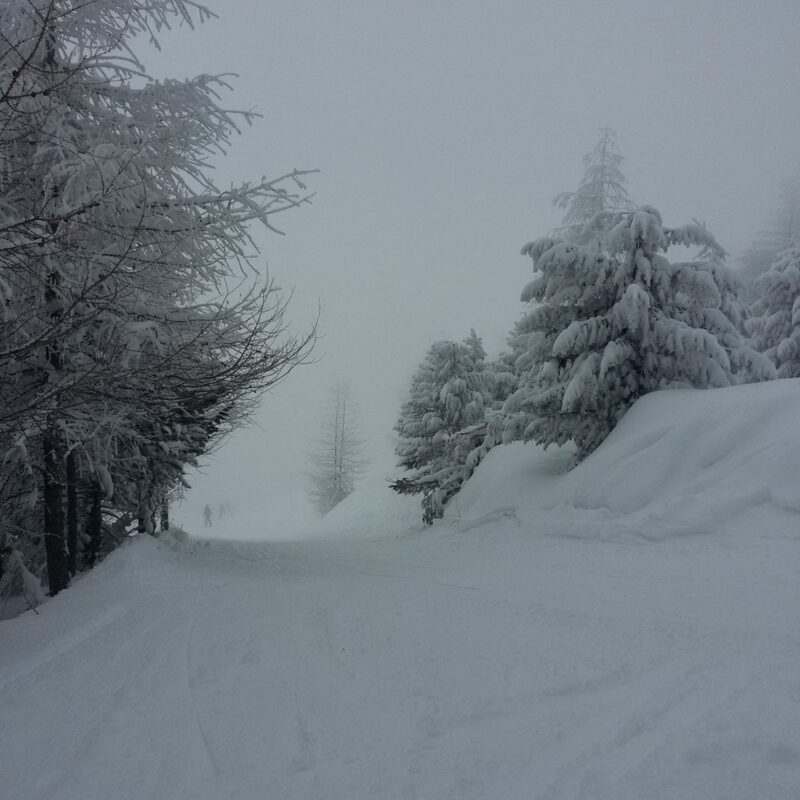 In the week we were there, it snowed quite heavily, at least 3 of the days, which made conditions and visibility really tricky… it wasn’t going to stop me skiing though! There’s some good areas for going off piste if your confident enough in your abilities. Taking the M. Fratieve Gondula is an absolute must! 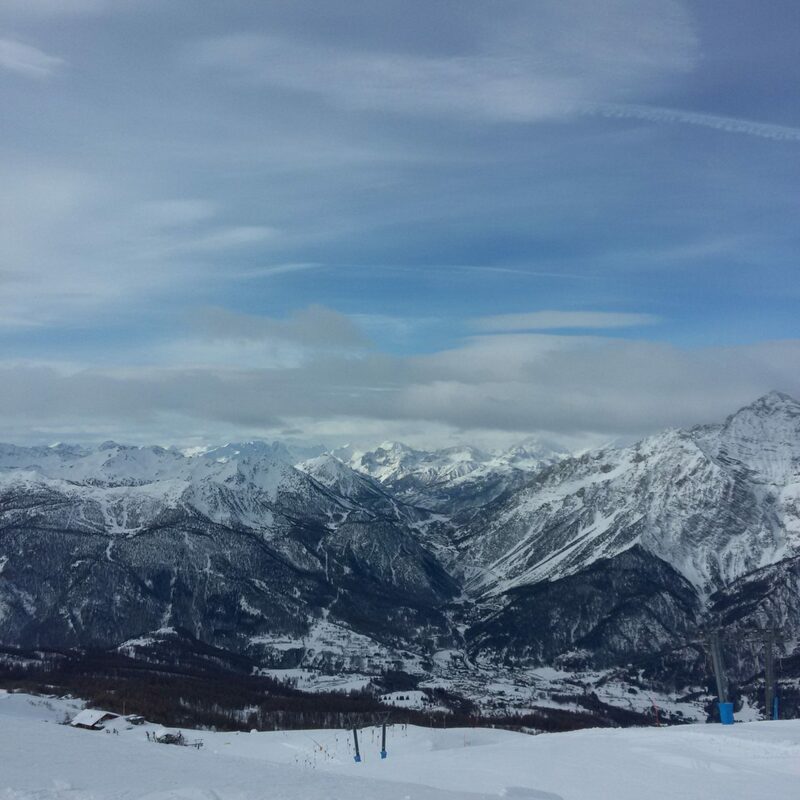 Where you can ski to Sansicario, Sauze d’Oulx & the rest of the Milky Way or back down to Sestriere via a good mix of red and blue intermediate runs. The views from nearly 2,800 metres above sea level are breathtaking. A 6 day adult lift pass in high season costs £166 and £116 in low season. 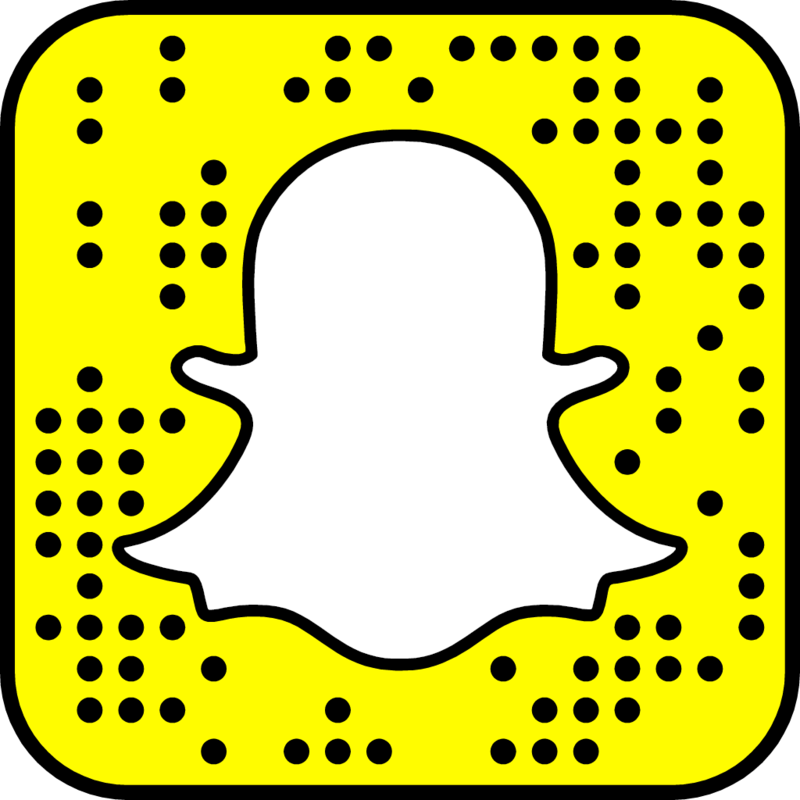 A lift pass will cover all areas in the Milk Way and also one day’s skiing in the French resort of Montgenevre! 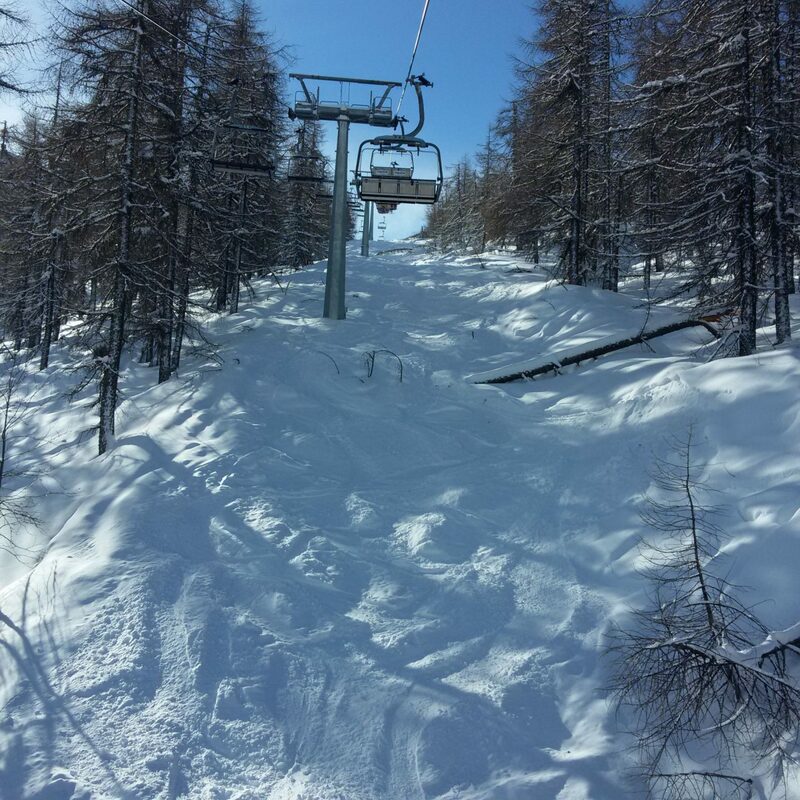 You can ski across to Montgenevre but will take you a good couple of hours. 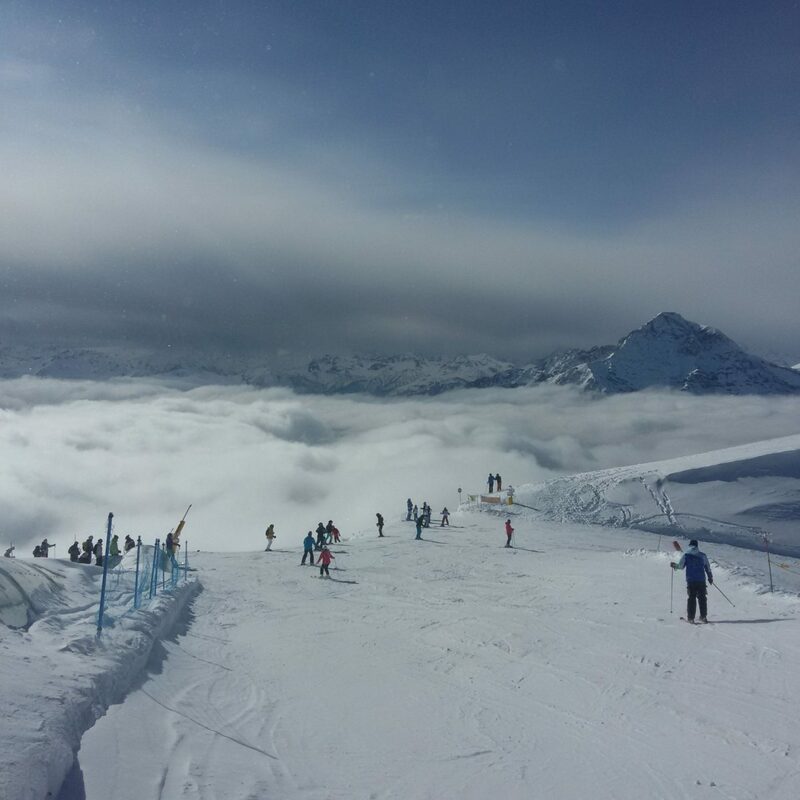 You can book on one of the ski away day trips to make getting there much easier! 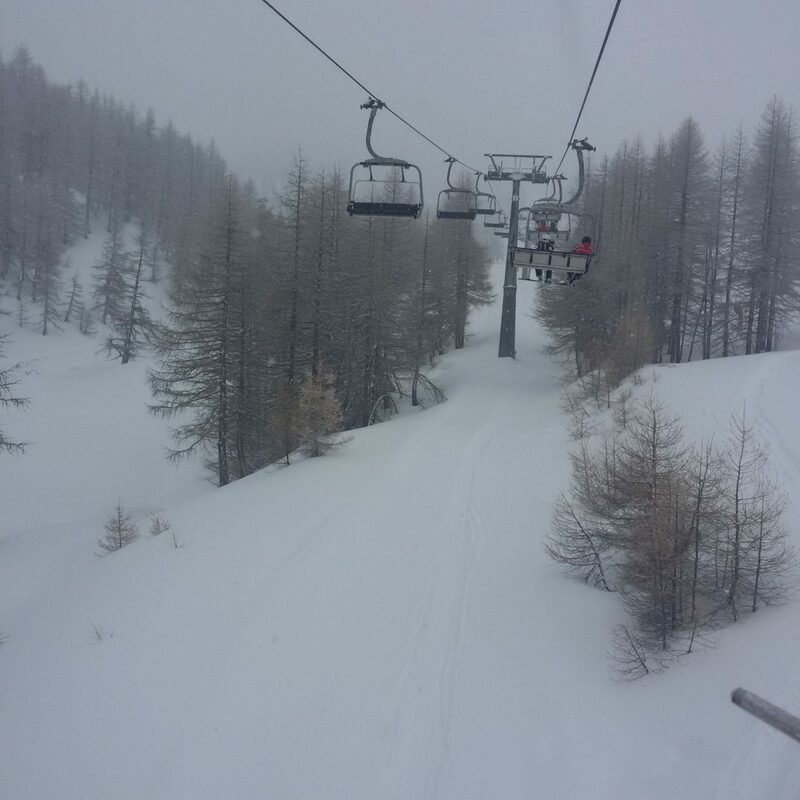 The queues for lifts on weekends can be really long so try and avoid peak times and get out early. 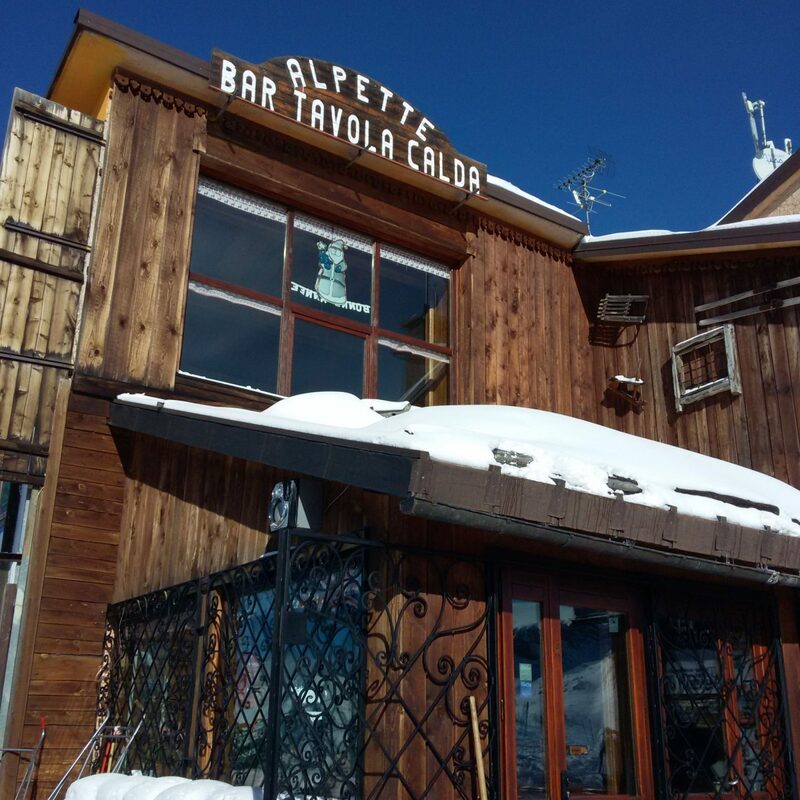 As you’d expect from any good ski resort, there’s a big selection of restaurants and bars to choose from for lunch and for the all important apres ski drinks! The bars towards found towards the top of the piste tend to be a lot quieter. There’s a good choice of bars for evening entertainment too! Bar Sestriere is one of the busier bars and shows a lot of live sport. Head to Pinky bar if live music is more your thing as the have something on most nights. 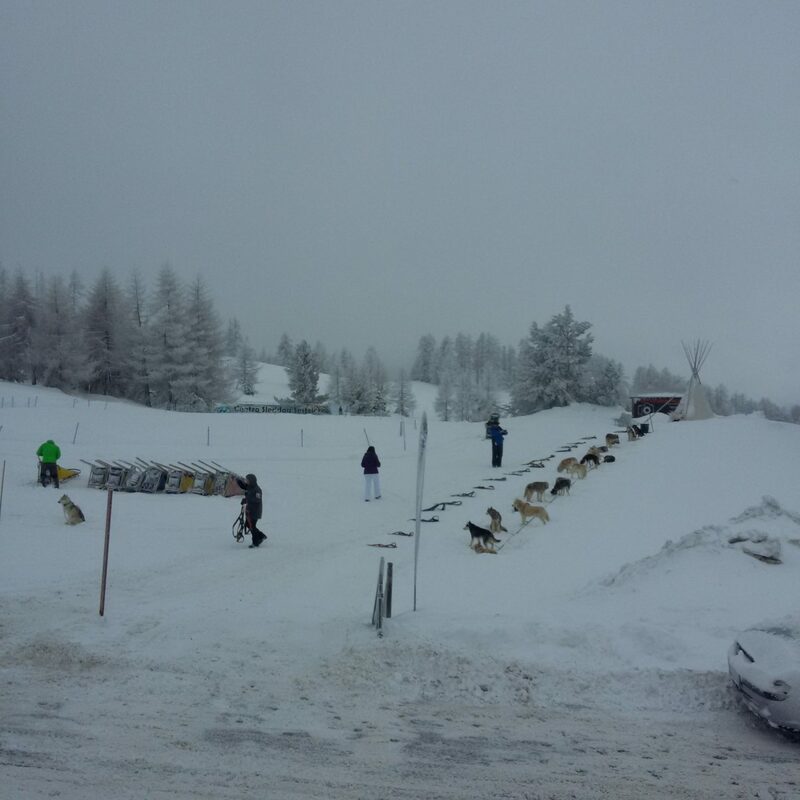 If you’re looking for something different to do, you can go huskey dog sledding! But make sure you book early to avoid disappointment as it books up quickly. 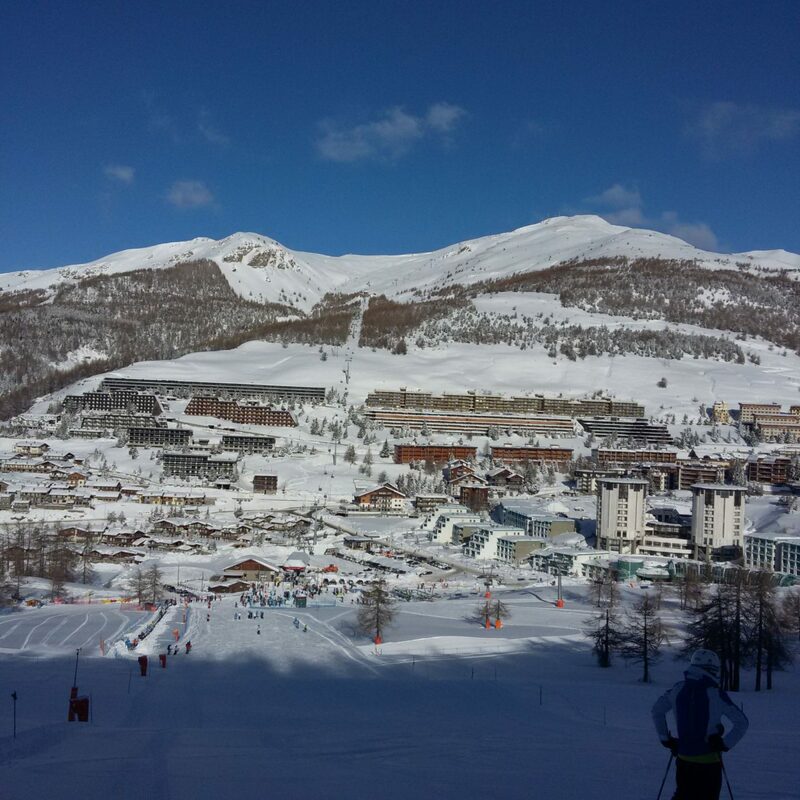 Sestriere has definitely been my favourite ski resort, there’s so many different runs to go at. The resort is more catered for intermediate skiers and boarders. It is a resort I’d go back to as there are a lot of parts I didn’t get to see. 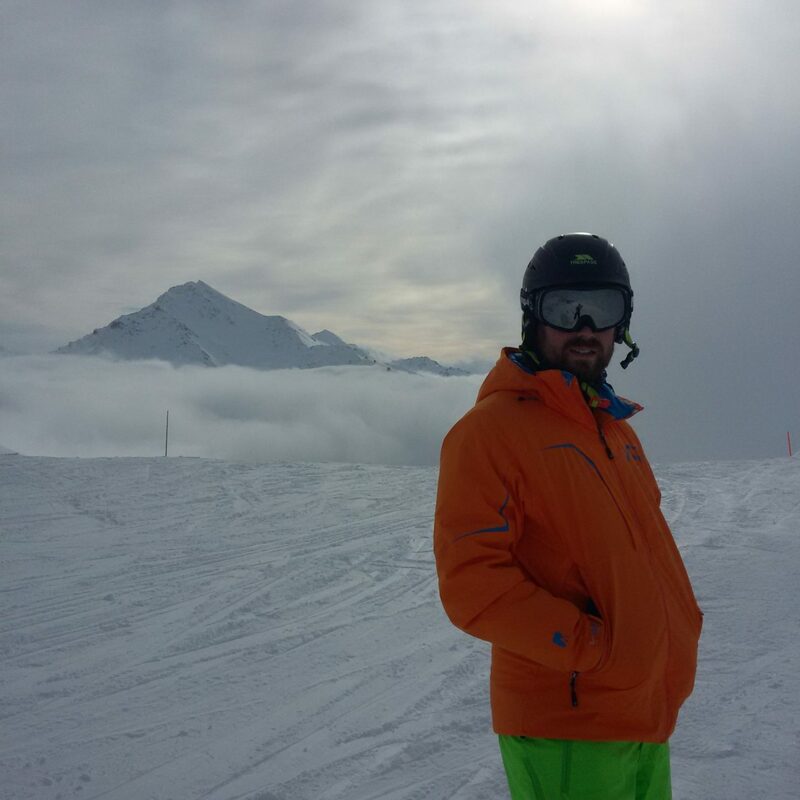 Have you been skiing recently? Where about’s did you go? Let me know in the comments below.